Who doesn’t like a great lake? No, not those great lakes, but any lake where you can see an amazing reflection or view that forces you to make your own reflection. Whether it’s a serene place or an amazing lake that has a story, these are great places to stop for a rest and think. Write in your journal. Or just relax – isn’t that what lakes are for? Driving in New Zealand gives you an opportunity to see some of its most hard to get to sites. 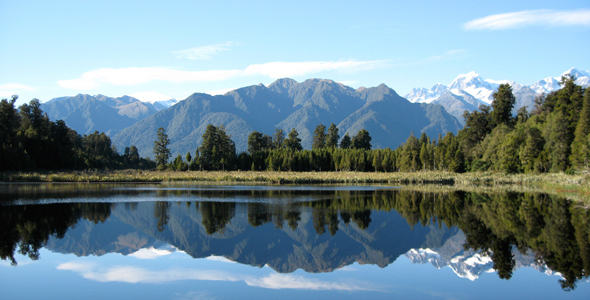 Sunrise at the Mirror Lake in New Zealand, near Fox Village, is no mean feat. You must drive or bike a few miles from town, then trek in the darkness around the lake to get this view. But it is certainly a noteworthy goal, as a lake clear as glass and silent makes way for this surreal mirror image as light fills the sky. It is a must-see when seeing the glaciers in the area, and even during midday a walk around the entire lake is lovely. 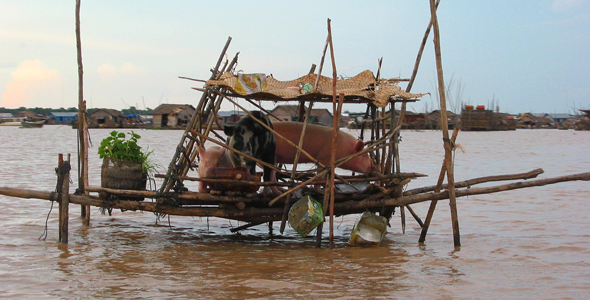 The Tonle Sap is Southeast Asia’s largest freshwater lake, expanding many times its size during monsoon season. Because of the incredible change in landscape between dry and wet seasons, the people who live near here stay on floating villages – complete with televisions, petrol stations, and other typical amenities. It is a surreal sight to behold, especially since the far shore of the lake cannot be seen, leaving you feeling as if you are afloat at sea. It is possible to visit as a daytrip from Siem Reap. 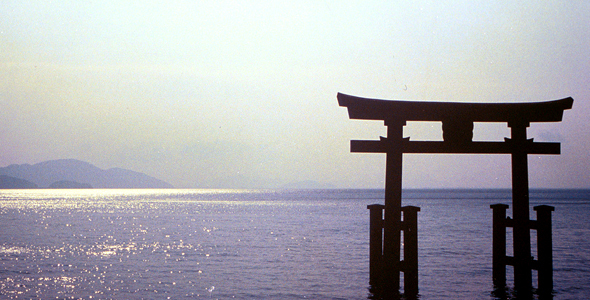 Lakek Biwa is the largest freshwater lake in Japan; because of its location next to the historic capital of Japan, it is well known to Japanese historians, but the lake’s beaches are also popular to those not interested in history or literature. Other popular attractions include Ukimido, the floating temple, the Seta no Karahashi Bridge (especially at sunset! ), and biwako Hana Funsui – the world’s largest water fountain. Lake Baikal, just north of the Mongolian border in Russia, is a geological phenomenon. It is massive, containing 20% of the world’s surface freshwater and the deepest (and strangely, clearest) lakes in the world. 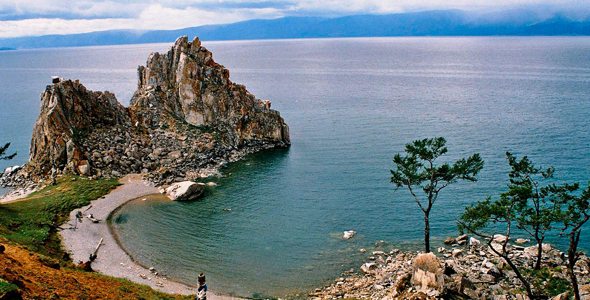 Because of this and the hundreds of unique species that live here and nowhere else, Lake Baikal is actually a UNESCO World Heritage site. The resort of Listvyanka is also a UNESCO site and popular stopping point. 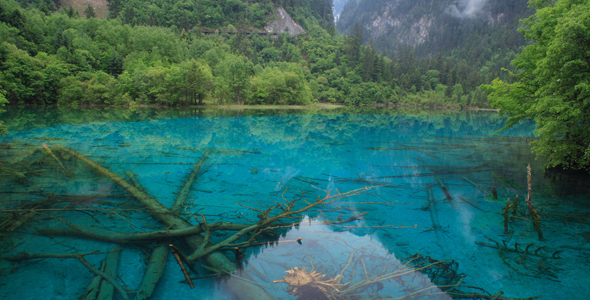 Wuhua Hai, meaning ‘five flower lake’ in Chinese, is one of several of the amazing lakes in the Jiuzhaigou Valley. The name is appropriate, because just in the span of a few meters the lake changes color, from blue to black to yellow to green and back again. It is surreal, spooky, and amazing. Don’t miss the other lakes here in the valley, such as China’s version of the Mirror Lake featured above. Would you believe the above photo was shot in Kyrgyzstan? Lakes are a popular tourist attraction in the mountainous countryside of Kyrgyzstan, and Lake Issyk-Kul is no exception. It’s hidden inside a deep valley, giving you endless views of the snowy peaks of the Tian Shan mountains. It was a popular resort destination during Soviet times, and although those resorts fell into disrepair, they are making a resurgence with foreign tourists. Check out our recent series of posts, where we covered the four “Stans”, starting from Kazakhstan, Tajiskistan, Uzbekistan and Kyrgyzstan. 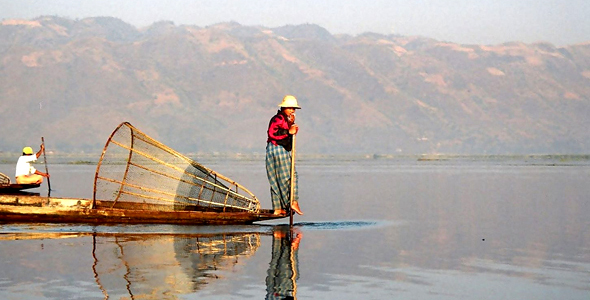 Inle Lake in central Myanmar is the second largest lake in the country and one of its highest. An entire population of people, called the Intha, have built their lives and villages around this lake. Visit in September or October where you can experience Hpaung Daw U Festival, where Buddha images from the nearby Pagoda are paraded around the lake and there are dozens of boat races. This is followed by the Thadingyut festival of lights celebration. Myanmar is also home to off-the-beaten-path Putao, a destination that is a veritable paradise on earth. * Note: Some people seem to get held up with my definition of Asia. Asia = all of the destinations featured on Unearthing Asia, which includes places you might call “Australasia” or “Middle East.” Enjoy.